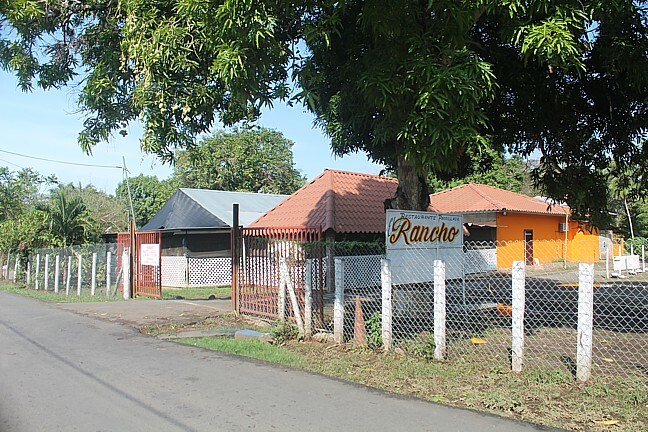 Puerto Armuelles Panama, is a fishing town. 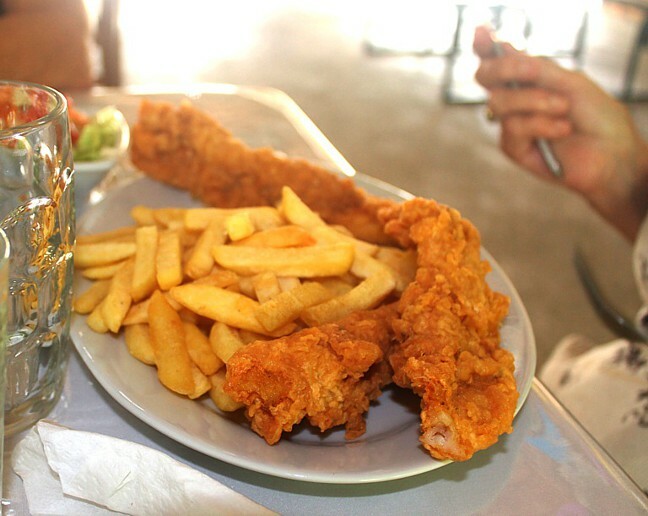 Not surprisingly most of the restaurants feature a variety of locally caught fresh fish. You can get everything from Red Snapper, Tuna, shrimp, Mahi Mahi to name a few. 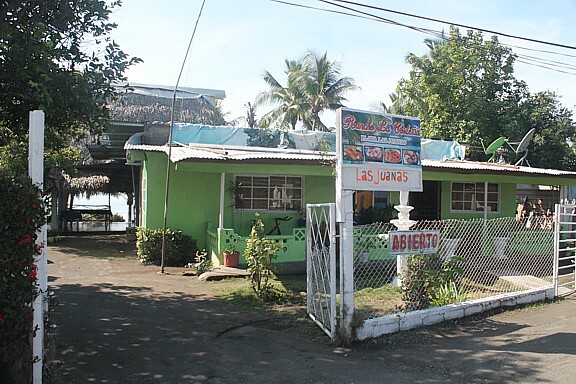 The above meal was served at the Bustos or Two sisters restaurant in Corazon De Jesus, Cost about $8. But this was the lightest cooked, freshest tasting fish I have ever eaten. 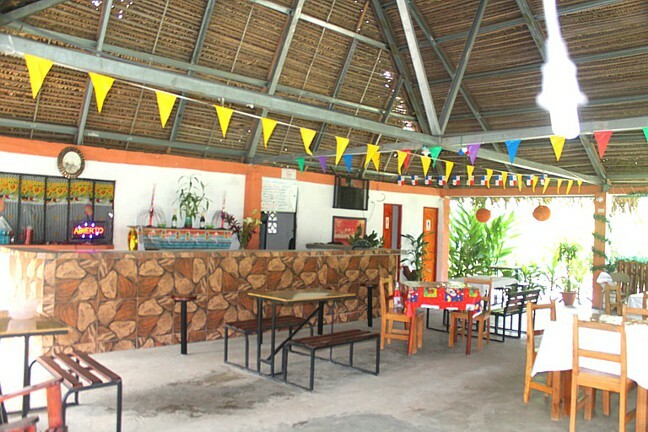 The restaurant is run by two sisters (one cooks the other serves) Bustos has a palm-treed roof open to the nearby ocean breezes. Excellent food and for me- the best fish served in Puerto. The next best restaurant is literally a stone's throw away. El Rancho does a wonderful shrimp in a piquant red sauce. This is a bigger restaurant than Bustos and is packed with locals on the weekend. Again, mainly fresh fish but competitively priced. They also serve beer in One pint bottles, great for thirsty drinkers. 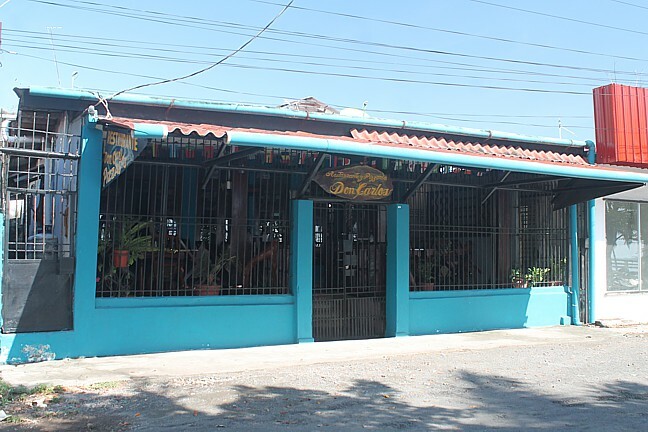 Don Carlos restaurant (pictured above) Is one of the oldest and most respected. 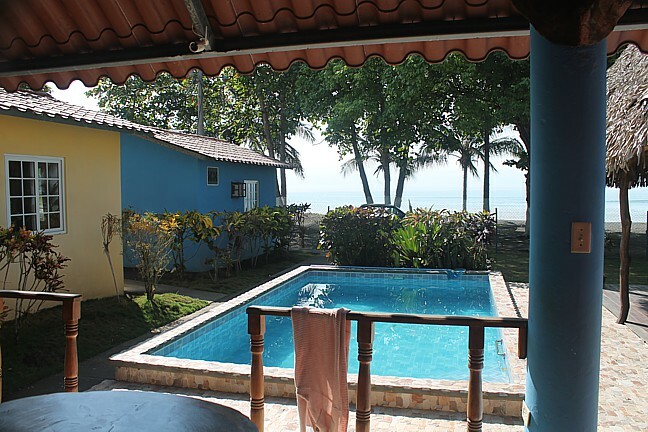 It lies on the malecon and is steps away from the beach. 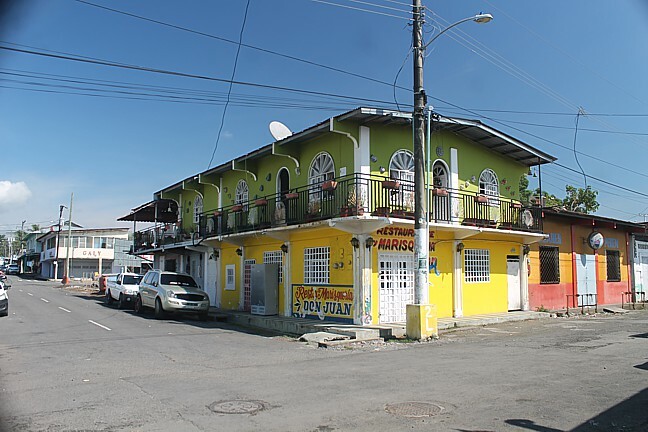 They serve one of the best Pizzas in town and the owner Don Carlos speaks perfect English and is a mine of information about the history and life in Puerto. 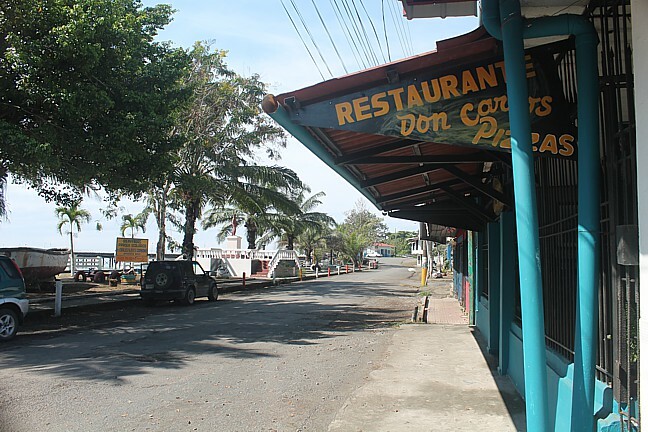 The Don Juan fish restaurant is just several doors east of Don Carlos on the Malecon. A varity of meals other than fish and Oh! on those hot and humid days- Don Carlos has air conditioning. Big Daddy's (formerly Heavenly's Hotel) is a few miles west of the town centre. 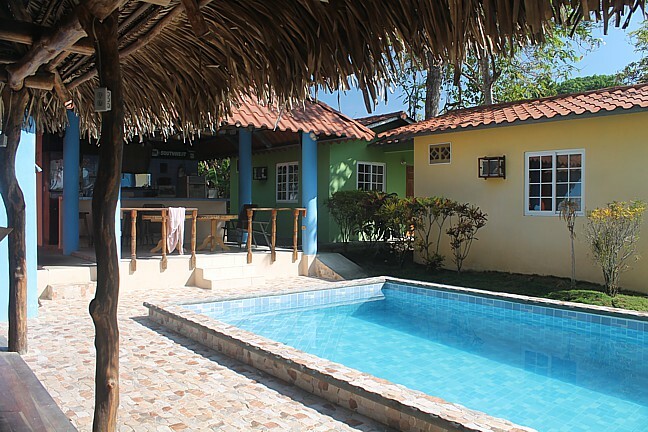 It features a pool, bar/restaurant and rooms. 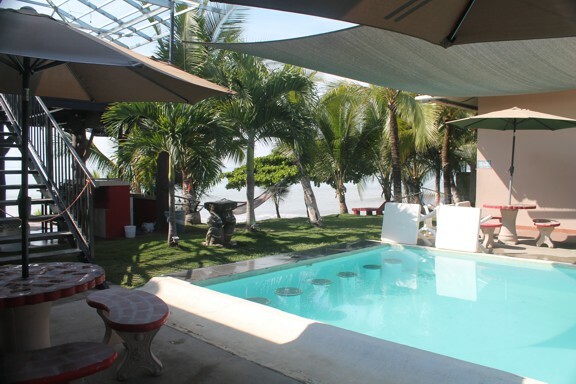 It is just finishing a two story bar/patio right on the ocean. Big Daddy's has the widest selection of non-fish items in town and the bar /restaurant is air conditioned. Big Daddy's is the only place, so far, in Puerto to feature live music. I have played there myself several times. Right next door to Big Daddy's is the LA Costena (wait for it) Fish restaurant. Why so much fish? Well the ocean in front is alive with the little wrigglers so it makes economic sense. 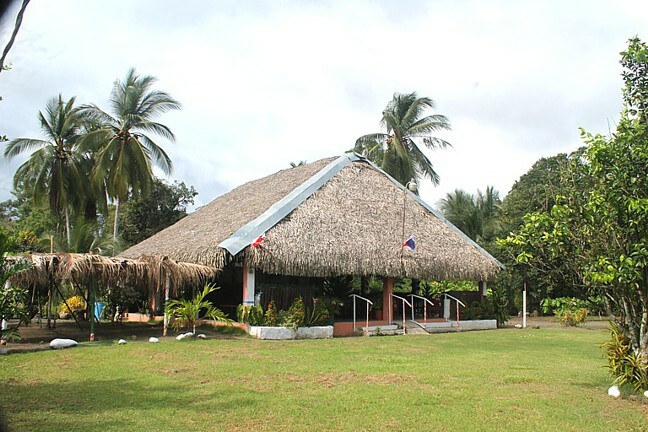 The Tsunamai Inn is a firm favourite with the local ex pat community. It does not have a restaurant (what, no fish) but does served great cold beers. A good place to hang out and meet your local ex pats. 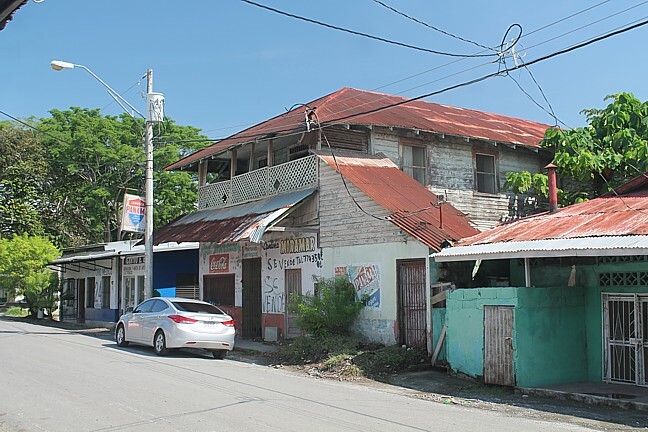 When visiting Puerto you should stop by and look at the oldest and most historic bar in town. Sadly the Miramar closed long ago. I first came to Puerto some 15 years ago, and it was closed even then. 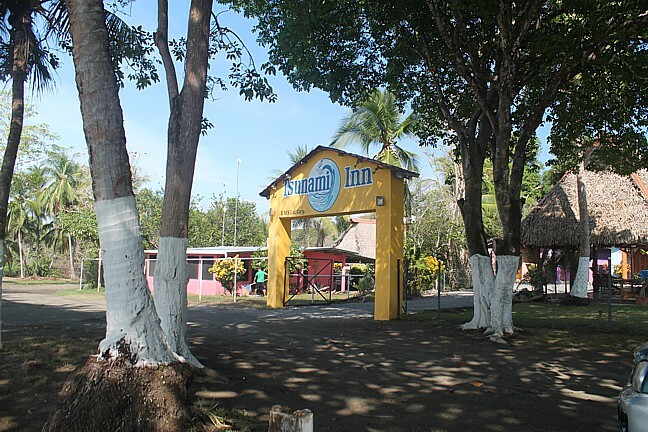 Back in the day Puerto was a hangout for Hollywood stars such as John Wayne, William Holden and Pat O'Brien. In 1942 the infamous French convict Henry Charriere (Papillon) is reported to have drank there and bummed a trip on a banana boat to California. In return for a free trip he promised to send signed copies of his soon to be released book. Whether Papillon made the trip to the US we do not know. The signed copies of the book never made it back to the Miramar. 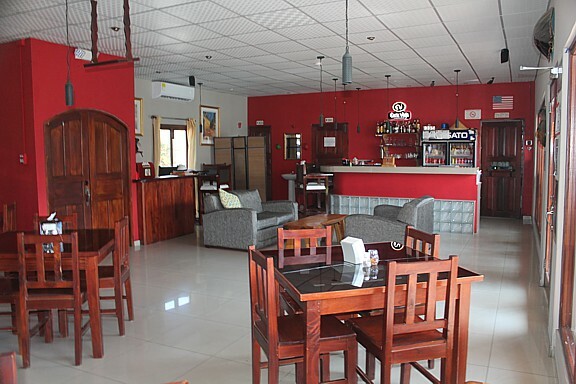 The bar was also frequented by famous aviator JIMMY ANGEL, who discovered the highest waterfall in the world in Venezuela. "Angel Falls" are named after him. The MIRAMAR, in the 1930's was originally owned and run as a Chinese restaurant. Allegedly, the upper rooms were also run as a bordello.